Finding a car scanner is made all the more challenging by the countless convoluted and needlessly complex reviews of any given model available online. In this article, it is our aim to give you a brief but comprehensive review of the Innova 3120, cutting out all the fluff and getting straight to the things you want to know. Innova has designed hundreds of products, some intended for professionals and some intended for more casual car owners. The brand’s 3120, however, was designed with people from both categories in mind. Among the major selling points of this scanner is its all-in-one screen. This is a feature unique to Innova and makes it possible to view much of your vehicle’s data at once without connecting it to a laptop or tablet. Innova makes the 3120 available in black and white screen, color screen, and Bluetooth models. 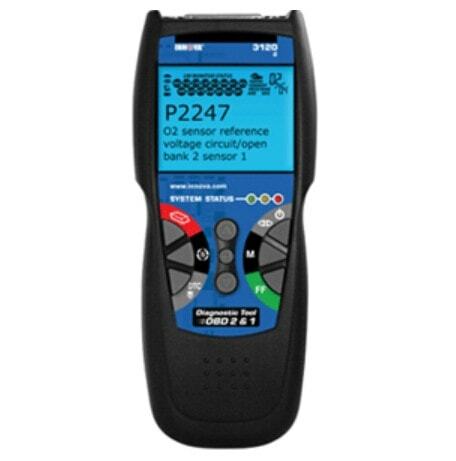 If you’re searching for an inexpensive scanner that you can use to identify the occasional problem with a single car, there really isn’t any reason for you to spend close to $250 on the 3120. There are plenty of less-pricey alternatives intended for moderate hobbyists. Non-professionals who live in multi-car households, however, may indeed be able to justify a purchase of the Innova 3120. Those who repair vehicles for a living should consider the Innova 3120. Promising an all-in-one display without connection to a laptop or a tablet, this scanner makes it possible to identify issues in as timely a manner as possible without taking up valuable workshop space. When you purchase the Innova 3120, you will receive the scanner itself, accompanied by two branded Innova carrying pouches. Inside the box you can also expect to find OBD1 connectors, an OBD2 connector, and a comprehensive instruction manual to ensure a speedy setup. The patented all-in-one screen which Innova frequently makes reference to in its advertising of its 3120 car scanner means virtually all necessary data is displayed on the device’s screen at the one time. This makes it possible to identify, and subsequently remedy, issues with the examined vehicle in as timely a manner as possible. A speedy diagnosis is also made possible by the scanner’s easy-to-use hotkeys. A handy “oil reset”feature will provide those using the 3120 with an easy-to-follow guide to reset procedures for the vast majority of vehicles with which it is paired. Users will be taken through the process step-by-step to ensure it is completed adequately and safely. We feel Innova should be awarded extra points for the multilingual feature of the 3120. This car scanner can be relied upon to display test results in English, Spanish, and French, making it a great deal more accessible than many models from competing brands. 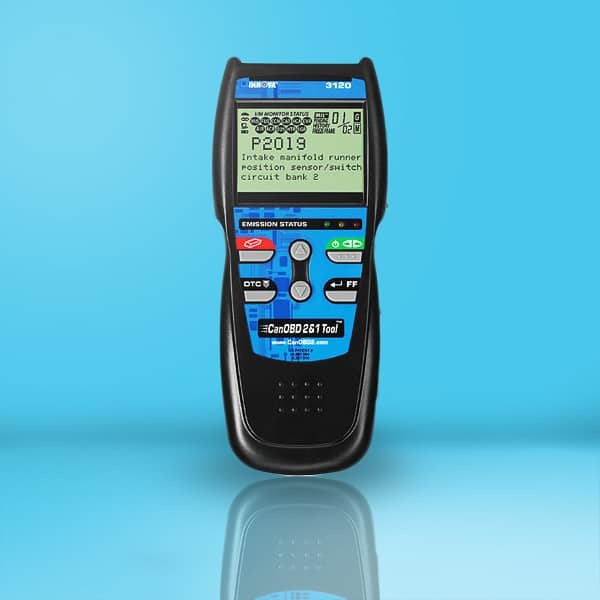 According to the manufacturer, the Innova 3120 can be used to determine the cause of “check engine” light warnings on any foreign or domestic 1996 vehicle, as well as OBD2 cars, trucks, SUVs, and hybrids. Innova claims the scanner can be used to tackle issues with OBD2 vehicles from Ford, Chrysler, Honda, Toyota, and General Motors. It is important to note, however, that many independent tests of this scanner have found that it fails to display certain pieces of information when paired with certain cars, meaning it is not fully compatible with all vehicles. With the Innova 3120, you are paying for two things: a high-quality product and the peace of mind that can only be achieved through the knowledge your purchase was designed by a brand that leads its industry. While this means you will likely end up spending a little bit more than you would have originally liked, it also means that you can be certain the Innova 3120 will be there to establish issues with your car and, if you’re a professional, the cars of your customers for years to come. For novices and occasional DIYers, the Innova 3120 will be a difficult purchase to justify. For dedicated auto buffs such as ourselves, however, it places at the very top of the automotive shopping list.